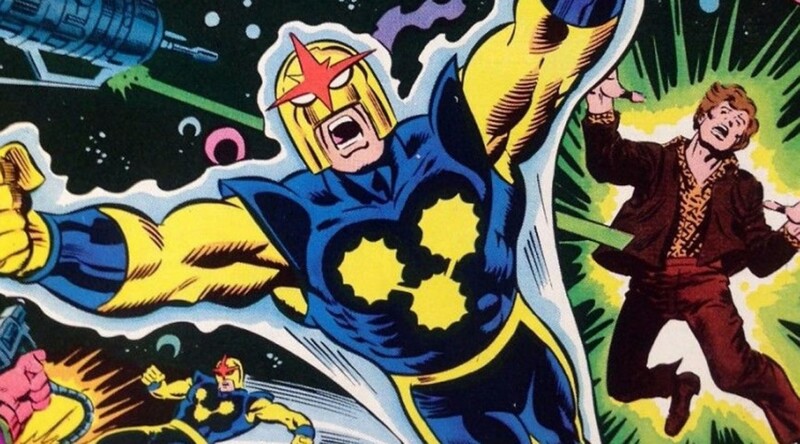 Newly minted regular contributor Anthony Durso – he of the popular 13 THINGS TO LOVE series – is back with a tour through Marvel history you didn’t know you needed. Capes and cowls? Domino masks and fedoras? That’s so ancient history. The helmets of the Marvel Age are what we’re talking about! The BIGGER, the BOLDER, the WACKIER, the BETTER! 13. The Melter. 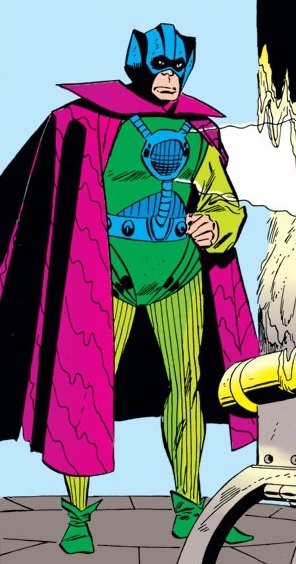 When Bruno Horgan first faced Iron Man in Tales of Suspense #47 he really could have used a fashion consultant. Clad in an ensemble of purple cape, disco collar, striped green leggings, Robin’s leftover shoes and a melting gadget strapped to his chest, it couldn’t get much worse. But then it did when he put on his helmet. Who did he think he was? Mysterio? 12. Mysterio. A fishbowl. That’s what special EFX artist Quentin Beck chose for his helmet when he went after the Amazing Spider-Man. A fishbowl. 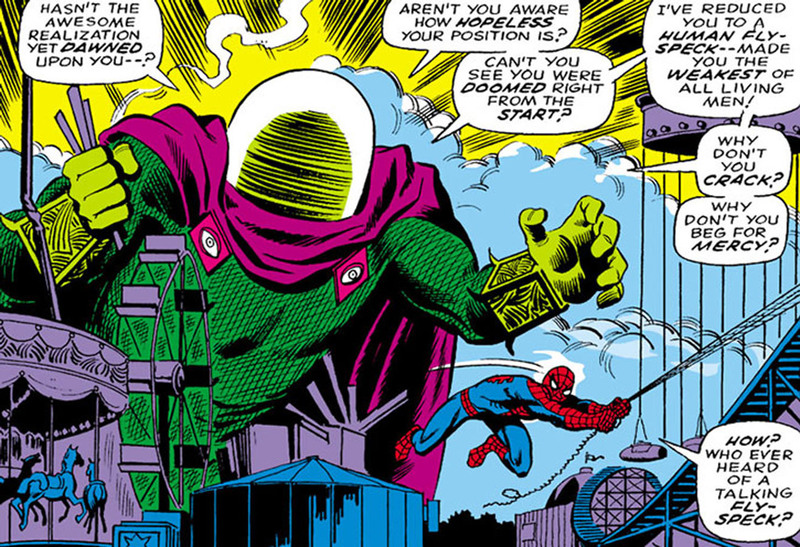 Created by Beck to mesmerize and confuse Spidey as well as conceal his true identity, Mysterio’s helmet was pure Ditko in its design, right down to the little green dust storm that obscured his facial features. 11. The Unicorn. Silver Age Iron Man seemed to get all the weirdos. Soviet spy Milos Masrayk was given the costumed identity of the Unicorn by his Russian comrade, the Crimson Dynamo, complete with his radiation-beam “power horn,” which was embedded in his helmet. It’s no wonder the fabled beasts went extinct. 10. Molecule Man. 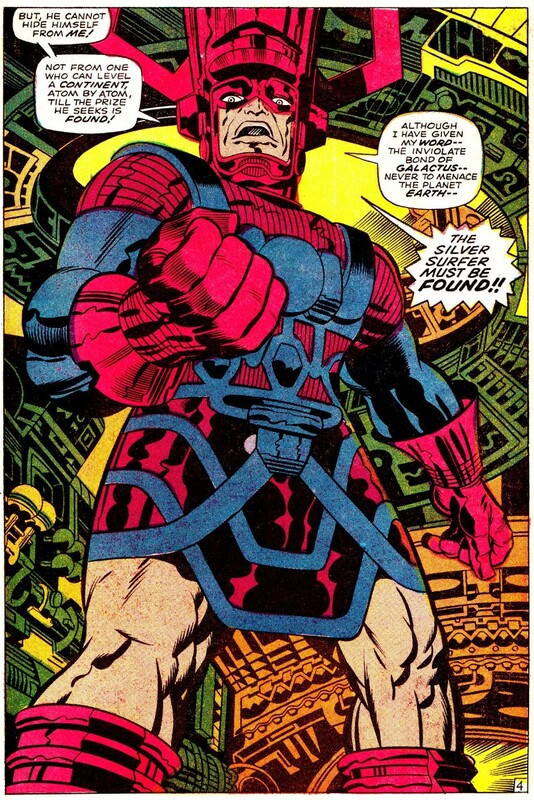 After an encounter with the Silver Surfer, who recounted his origin, the Molecule Man decided to destroy Earth in an effort to emulate his new idol… Galactus. He even gave himself a helmet! 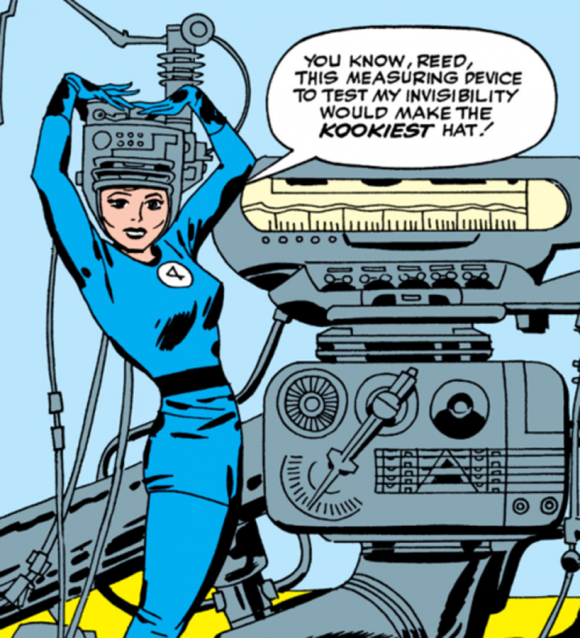 Fortunately, the Avengers got involved and the new headgear was gone after two issues. 9. Whirlwind. Calling himself the Human Top, mutant David Cannon had the ability to spin his body at super-speed. After being defeated by Giant-Man several times, Cannon decided to drop his Human Top persona and re-invent himself as… Whirlwind. 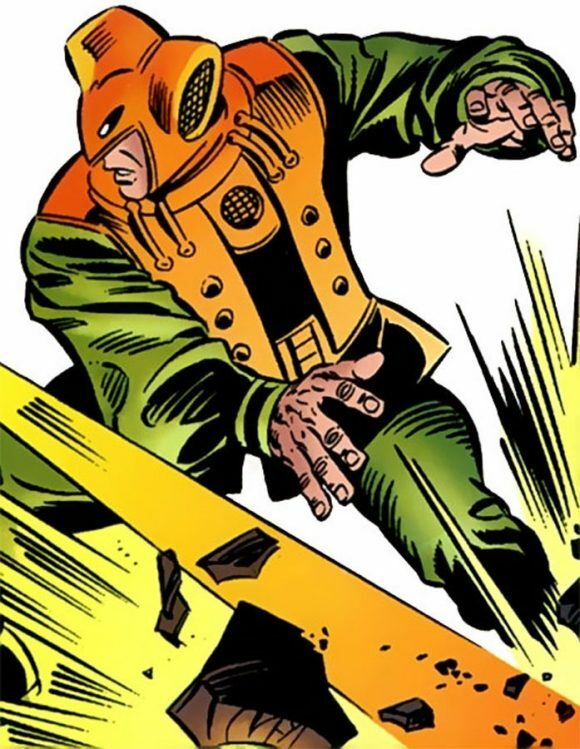 Complete with a modified version of his peripheral-vision obstructing, bullet-shaped helmet, this “Master of Evil” continued to clash with Giant-Man and the Wasp — unsuccessfully. 8. Ant-Man/Giant-Man. 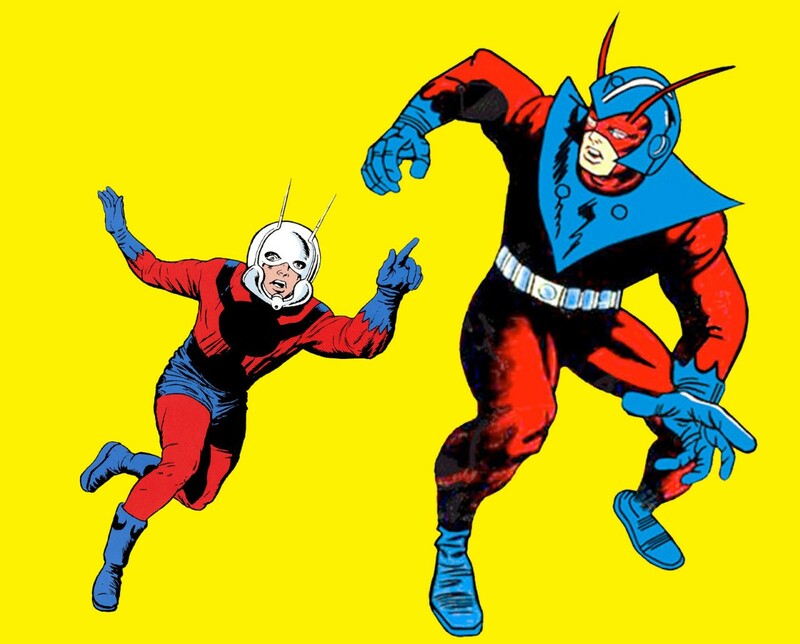 Hank Pym himself was no slouch when it came to helmets. And although his ant-talking cybernetic Ant-Man helmet is iconic, his Giant-Man upgrade is usually forgotten. Bigger is not always better. 7. Loki. But then again, maybe bigger IS better. 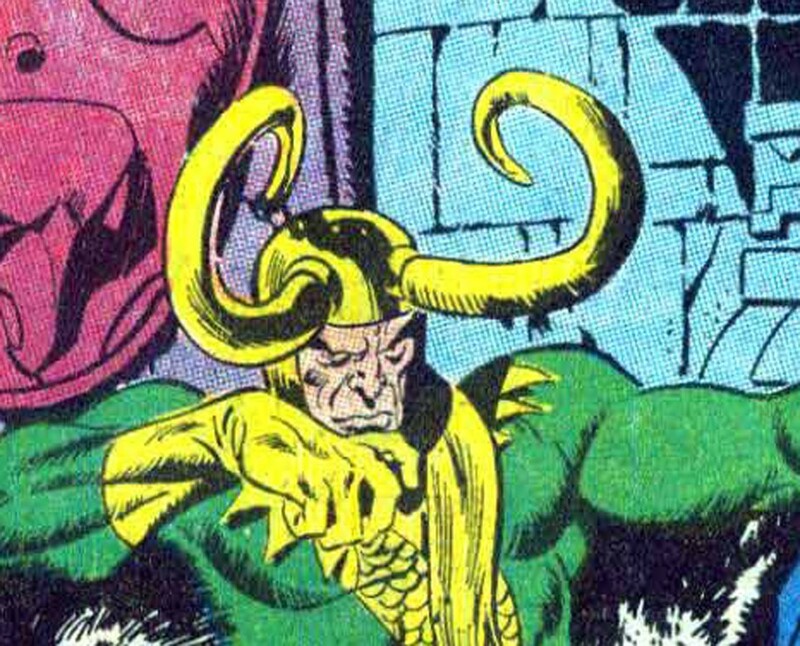 Sure, there are horned helmets throughout Norse mythology (and Marvel’s interpretation of such) but only the God of Mischief had the audacity to have horns THIS large. 6. Attuma. 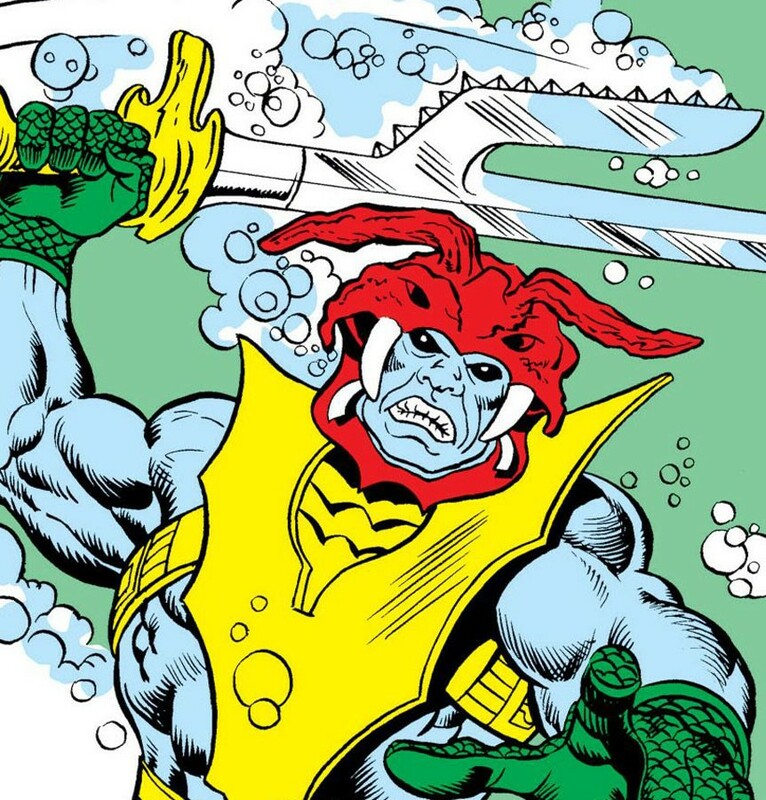 You just know you’re an undersea badass when you wear the head of a giant Kirby Krustacean on your head. 5. Nova. Just think: On Earth, Richard Rider’s Nova helmet is unique. But on Xandar, EVERYONE gets one of these! Well, if you’re in the Nova Corps anyway. 4. The Orb. On the surface, The Orb’s motorcycle helmet is pretty basic. 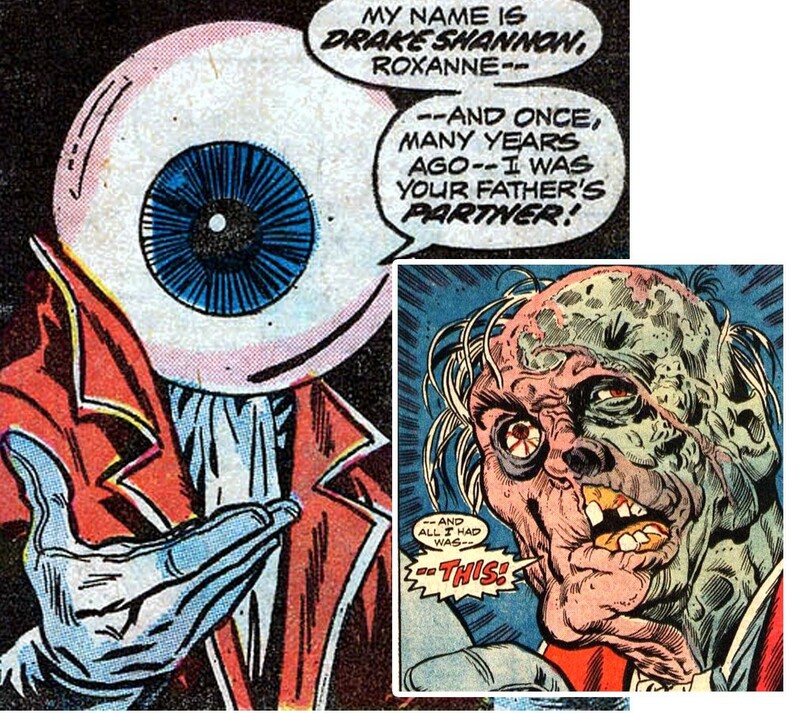 Sure it’s just an eyeball, albeit a giant one. But it’s what lies underneath that’s truly scary. 3. 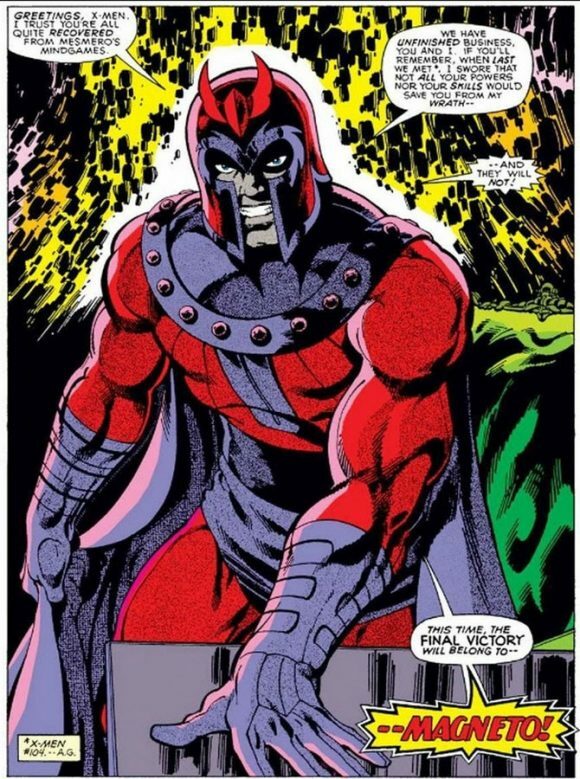 Magneto. 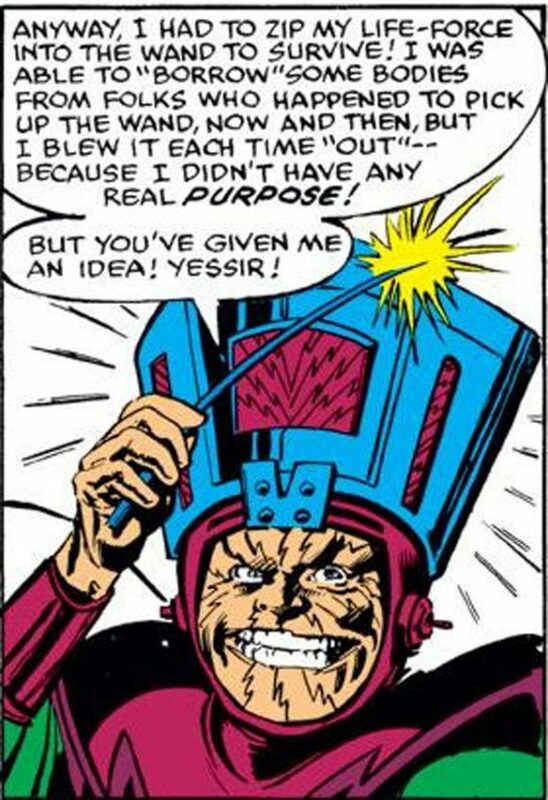 The Mutant Master of Magnetism’s helmet is about as awesome as they come. Not only does it project an aura of regality, it does double duty by keeping Professor X out of Magneto’s thoughts. Sadly though, Magnus went straight for awhile and even led Xavier’s School of Gifted Youngsters. He got a new costume, ditching the helmet as well as the magnetic charisma that went with it. Thankfully it didn’t stick. 2. Odin. Thor is without a doubt the most famous of all the helmeted Asgardians. But his father, Odin, is the real Big Mac Daddy when it comes to helmets. Yes, HELMETS. He has multiples. And he never wears one twice. 1. Galactus. Guess who’s coming to dinner? Yup, Galactus. Who else could it be? After all, he IS the Omega. 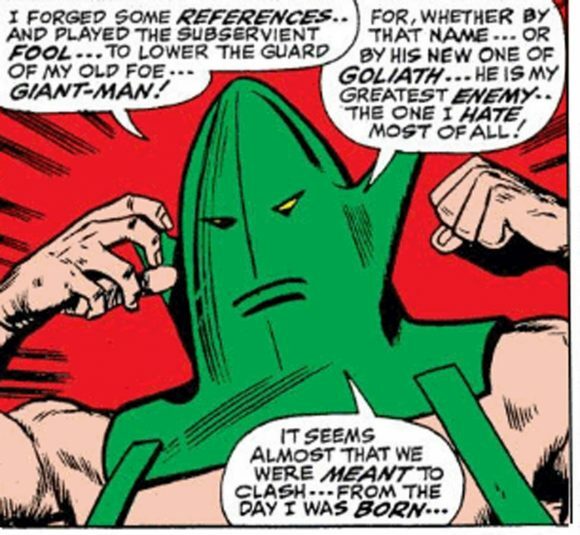 (We’ll let it slide that the Devourer of Worlds originally wore shorts and had a giant “G” on his chest. We all wore crazy stuff when we were kids.) When it comes to absurdly large helmets with obvious balance problems, it helps to wield the Power Cosmic to keep your head above the clouds. — 13 REASONS to Love MARVEL in the SILVER AGE. Click here. Helmets in the Marvel Universe definitely have a place. If a DC list gets done, it must have the original Kent’s Dr Fate helmet.